Come one, come all, step right up! 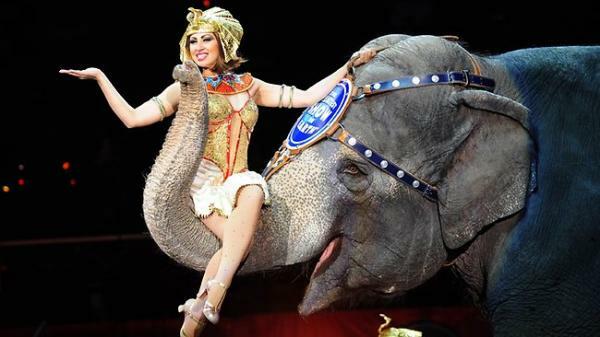 Ladies and gentlemen, boys and girls, itâ€™s time for the circus! And you, my friend, have the distinguished honor of being in it. Even if you donâ€™t want to actually give up your 9-5 job, leave your home, and join the traveling circus, you can certainly still feel like youâ€™re in one. 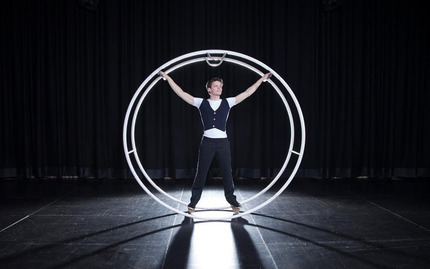 After trying any of these circus skill classes, youâ€™ll without a doubt feel like youâ€™re part of The Greatest Show on Earth. If youâ€™d like to channel your inner clown, thereâ€™s no better way to start off than learning juggling. Surprisingly, jugging has tons of benefits beyond just being entertaining. For instance, juggling burns 260 calories an hour and helps gray matter in your brain grow -- and who doesnâ€™t love a healthy brain? 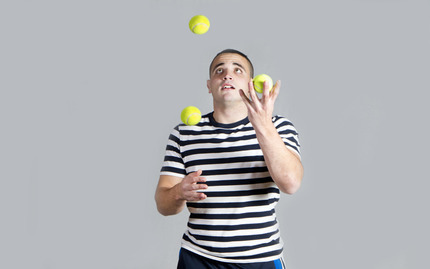 JuggleFitâ€™s class will go beyond just teaching you the proper techniques necessary for being a juggling maven, it will also educate you in the various health benefits juggling has. Many people argue that the wheel was the single best product ever invented. Well, what about a human wheel? Now thatâ€™d just be fabulous. The German Wheel is a human-sized wheel that you stand inside. Lock your feet in and grab onto the handles and itâ€™s time to get rolling. Youâ€™ll seem to defy gravity as you flip, spin, and show off your strength, all while enjoying this new sport of wheel gymnastics. This type of aerial performance is impressive, to say the least. Aerial hoop involves swinging and dancing on a hula-hoop suspended from the ceiling. Professionals will teach you how to get on and off the hoops, proper conditioning, and an array of awe-inspiring performance tricks. The longer you spend on the hoops, the more comfortable and skilled youâ€™ll become. Youâ€™ll be swinging in the air and causing jaws to drop in no time. Question: whatâ€™s the best and most luxurious fabric in the world? Answer: silk! This beginner class offered by Aerial Arts NYC teaches you skills such as climbing, hanging upside-down, and inversions, all done in the air on a long piece of silk dangling from the ceiling. This class is not only a great workout, exercising every muscle in your body in a unique way, but also a great way to finally unleash your inner circus performer. If youâ€™ve ever wanted to know what itâ€™s like to be in Cirque du Soleil, now is your chance. This is the perfect way to spend to an evening with your significant other or a friend if youâ€™re feeling a bit adventurous. Before learning more challenging tumbles and mounts, you will begin by learning basic techniques, balancing on your feet, hands, and shoulders... did I mention that itâ€™s while on your partner? No experience is necessary to enjoy learning these gymnastic and acrobatic skills.